If you like scented candles, you'll love Scentsy! We provide a full line of home fragrance products, perfect for your home, skin, car and clothes and more. Using authentic Scentsy products your family and your home will look and smell amazing. A much safer alternative to open flame candles, our candle warmers combined with authentic Scentsy scented wax fragrances will make you, your home, laundry and your entire family smell aromatically delicious! 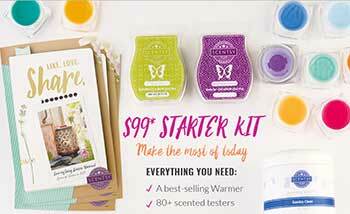 Shop Scentsy Today or Contact Mary for Assistance! Make Your Family, Car and Home Smell Aromatically Delicious! 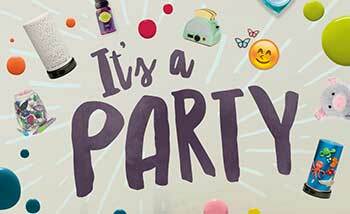 Host a party to earn free Scentsy! If you’re looking for a cute design with blue swirly clouds, this Blue Watercolor Night Light might be just the thing! Notice the light base which means you can purchase the optional tabletop base for $15 and place it on top of your table or directly into the wall outlet. Authentic Scentsy Doodle Dot element warmer is now Sold Out! See more element warmers here! Heats wax using a heating element, not a light bulb. Displays a sand like pebble surface, similar to pebbles in the sand on the beach. Also resembles an interesting grouping of white specks on a smooth surface. Features nicely painted leaves on the surface with a gold background and it’s become quite popular among our regular customers! If you like the cinnamon and vanilla fragrances, you’ll love this cinnamon vanilla scented wax melt. Although every nose is different, this scented wax has been a long time favorite for a number of our customers. Enjoy! Oh… so pretty! Glowing Adelaide Night Light Warmer by Scentsy! Perfect for any above counter outlet and you can’t go wrong with the $20 price tag! Authentic Scentsy Alabaster Candle Warmer glows in the dark and resembles sculpted alabaster. 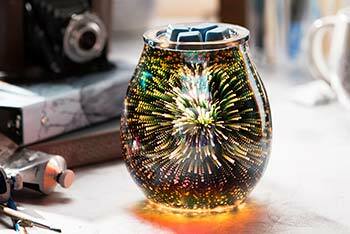 Our Star Dance warmer is unique featuring a bronze film finish with some very cool lighting effects resulting in a futuristic 3D look with twinkling lights, kind of like stars! Please provide your name and email and we'll contact you ASAP. Sent once per month NEVER Spammy!